What price are you willing to pay to double the battery life of your Nexus 6? Do you disable features? Turn off background processes, limit screen output, hibernate apps? We're all looking for better battery life, but the lengths to which we're willing to go to achieve it is interesting. Today I'll show you a trick to double the battery life on the Nexus 6, and then move onto a bunch of other great Nexus 6 battery tips. This trick is basically the same one we shared a while back about getting Nexus 6 proportions on the Nexus 5: you simply change the resolution and pixel density. The secret here it to take the Nexus 6's QHD display down a notch or two. A Redditor by the name of bartekxx12 went so far as to drop from QHD to HD (that's 1440p to 720p) in the pursuit of better battery life. I'm not so sure quartering the quality of the Nexus 6's display definition to double the battery life is something I'm willing to do long term (or even if the science is legit), but I can confirm the process works. Because QHD is exactly four times the size of HD the scaling is spot on too. You could, of course, scale to 1080p (Full HD), but the scaling would be off. Having said all of that, if you take better battery life really seriously – or simply need your battery to last longer for a short period of time, like for a holiday – here is how to change the display resolution to HD. Of course, it's just as easy to bump the resolution back up as it is to drop it. You'll need ADB Tools, the correct drivers on your computer and USB Debugging enabled in your Nexus 6's Developer Options. If you don't already have that section in Settings, go to Settings > About Phone and tap Build Number until you see the notification. Back up a step and you'll see Developer Options at the bottom of the Settings menu. 1. Plug your Nexus 6 into your computer with a USB cable. 2. If you haven't already, download ADB Tools to your computer (this download package includes ADB Tools, Fastboot and the necessary drivers). 3. Open the ADB Tools folder in a Windows Explorer window and, in some blank space, hold the Shift button and right click your mouse. Select Open Command Window here. You can also press the Windows button on your keyboard and type in CMD for the same result. 6. Once your Nexus 6 reboots you'll have HD resolution and your battery life will be dramatically improved. I haven't had a chance to test just how much longer it will be, but please let us know in the comments how much better your is. If you'd prefer some less extreme Nexus 6 battery tips, head below. Whether you're coming across one or two apps that are proving particularly problematic, or you're just noticing poor battery life in general, we've got a collection of expert hints and tips (plus some third-party apps) that can extend the amount of time the battery can power on your Nexus 6. The amount of battery your Nexus 6 uses up at any one time depends on what it's currently doing and which of its features are activated. Full-screen gaming is going to run down your battery a lot faster than standby mode, so the first of our tips is to extend the life of the device by limiting the more power-hungry features. Having the 5.96-inch, 1440 x 2560 pixel display on will always use up a lot of juice. From the Settings app select Display and then Sleep — dial this right down so your screen locks almost instantly. Turning down the brightness and disabling any live wallpaper you have enabled is also going to help. The Nexus 6 features two settings that are useful but potentially draining for your battery: Adaptive brightness (where brightness is automatically adjusted based on the ambient light) and ambient display (where notifications show up on the lock screen). Turn off both features to extend the life of the Nexus 6. Having audio pumping out at a loud volume kills battery life too, so bear that in mind when playing games and watching movies — you might want to turn it down a little or use headphones. And another battery hog is streaming data over cellular networks, so keep this down to a minimum where you can. Being able to instantly pick up a Wi-Fi signal, a Bluetooth device or a GPS lock is of course very convenient, but it's not very healthy for the battery inside your Nexus 6 to have these features turned on all the time. You can switch them on and off from the quick settings panel in the notification drawer. In fact the best approach as far as your battery is concerned is to have your phone in airplane mode — it's not very practical but your Nexus 6 will keep going and going and going. Again this setting can be accessed from the notification drawer for times when you aren't really using your phone. Turning sensors on and off manually can be a bind but there are apps to help out. Take Wireless Minder, for example, which can turn off the wireless radios inside your Nexus 6 when they're not in use. If you want to get more involved in the process then Tasker lets you set up certain areas (like the office) where Wi-Fi, Bluetooth or GPS can be disabled automatically. An overheating phone is bad for your battery and the other circuitry inside your Nexus 6 so bear this in mind when charging your phone or running intensive apps and games. It should always be kept in a cool, shady place — something to bear in mind as the summer months start approaching. There's also a dedicated Battery saver tool you can access from the menu on the Battery screen. This limits background data, location services and various other options — you can either turn it on or off manually or use the automatic option to enable it as soon as your device's battery reaches a certain point. It will always turn off while your device is charging. If there are specific battery issues that you're grappling with then some detective work is usually required to solve them. But by going to the Battery page of Settings, you can see if there are any particular apps that are responsible for draining battery life. Tap the chart to see sensor usage and drain as well. When it comes to apps, you can of course uninstall the problematic ones, but they may well be tools that are useful to you. Check for updates through Google Play or directly from the developer — it's possible that there's a known bug with a fix on the way. If not, report the battery life issues being caused. Other approach is to clear the app's data and cache from the Apps page in Settings — if corrupt files have somehow found their way in, they might be causing excessive battery drain, and this should be enough to get rid of them. There's always the option of a full-scale factory reset too, if you want to make doubly sure all the temporary data has been cleared, but make sure you back up all of your apps and files first. Apps can also conflict with specific sensors inside your phone, such as Wi-Fi or Bluetooth, so check performance with these features switched on or off. If you need more help, an app such as Battery Doctor can diagnose problems and provide an advanced toolset for prolonging the battery life of your Nexus 6. Do you have any other battery tips for the Nexus 6? Let us know in the comments. I easily get over 4 hours screen on time already with brightness at the lowest, WiFi, GPS high accuracy, and Bluetooth on. Anyone try this? I have done this. I used to barely get over 3.5 hours of on screen time with gentle use. With this, regardless of how I use my N6, I get over 6 hours before the battery saver comes on at 15%. The phone even feels smoother, especially the laggy recents menu. Now there's only just a hint of lag compared to my old Nexus 5 - I still feel the N5 is a better phone than this Nexus 6 but it's neither here nor there. But the easiest way to do this mod is to use terminal emulator. I also messed around with the DPI until I found one that didn't have some weird screen anomoly. I found 400 was the best and the resolution is still 1080P.The only thing that doesn't show up right is during the boot screen. When the dots finally quit revolving around each other, the word Android is off center, but I can live with it. It actually looks kind of cool. But yeah this hack is definitely worth it if you do it the way Wonderhowto does it. Awesome! I see you set the dpi to 400, what did you set the width and height to? Thank you so much! I flashed Android M DPI 400 is giving weird screen. I also tried 260 but still not good. which DPI settings should I use to make it feel like the original DPI with android M? I'm using a stock nexus 6, with action launcher 3, and a very light live wallpaper. I keep GPS, WiFi, and Bluetooth on at all times and still get over 5 hours on screen time per day. So no resolution borking for me! Battery life is not a problem, standby time sits at around 5 days with no use too. Love my nexus 6. B. 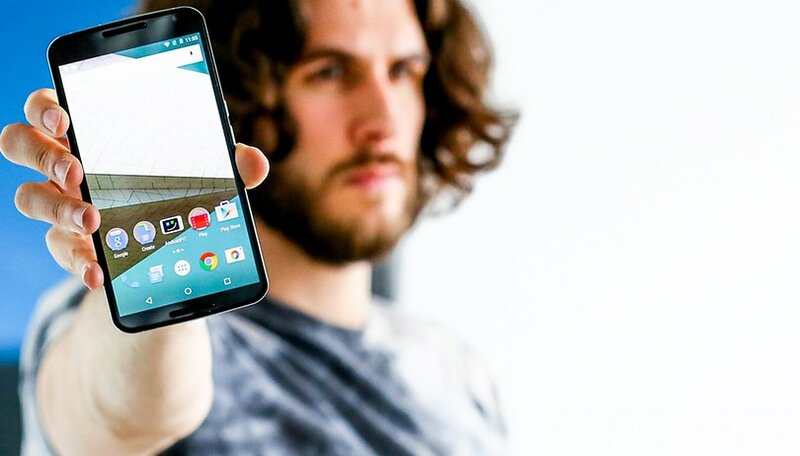 Upon receiving your Nexus 6,immediately root it and put a ROM on it that works. I have owned over 30 Android phones including every single Nexus. The 6 is a total software fail. After 4 months stuck on 5.0.0 and dealing with crashes after lock up after reboot continuously, I finally gave up on Google and went to CM Nightlies. Cyanogenmod is the only reason I didn't throw my Nexus 6 in the ocean to save my own sanity. This is after two warranty exchanges. Of which on the last one, Motorola sent me a locked refurbished phone. Not sure what problems you're referring to, I haven't felt the need to flash ROMs since I got my original Moto X, and still don't on my Nexus 6. The software is perfect, and unlike most ROMs incredibly stable. The main benefit of getting a Motorola phone is close-to-stock Android. Totally agree. My Nexus 6 is running smooth like butter. I haven't had a single issue either. Love this phone. I am having the same issues with it too... I had to root/cm it before I cried about the fact that I just spent $650 on my favorite line of phones and its software was so bug riddled that I couldn't make it through the day without charging my battery. It lagged, memory leak, random reboots, and best of all, it for some reason, drops service randomly and would not pick it back up until a good while later. It has happened to everyone's nexus 6's that I know of. My girlfriend, friends, and parents all got it, and there having the same problem. Granted some of the bugs are patched, but they definitely dropped the ball on this phone. Pardon me for asking but can we do similar resolution tweaking for nexus 5? If yes then would it have a positive effect on battery life ? Considering it has slightly better than HD resolution would bringing it down to HD level, work? Extending the battery life of your smartphone has been the main problem of many. You should know hacks to be able to do so and have better usage of it. Turning down the brightness is much better than disabling adaptive brightness. It's pretty much useless without it and will basically accomplish the same thing. You can set daydream to only work while your device is plugged in (I believe this is actually the default setting). Sound volume has little effect on battery life. Sound, yes, but the volume of said sound, no. WiFi and Bluetooth are not sensors. Using WiFi can actually increase battery life when you have a weak cellular signal. GPS does not actually use that much power anymore and only uses power when actively being polled for location information. Also many apps still only use course location information (network/WiFi based), not GPS. Disabling GPS should not give you noticeable power savings. Changing the screen to show in 1080p (I think I saw a method a while back) and reducing brightness help too. Mods, please delete Edi's comments, either that or ban him.